When the newly launched range by Oriflame which is the Essense&Co. 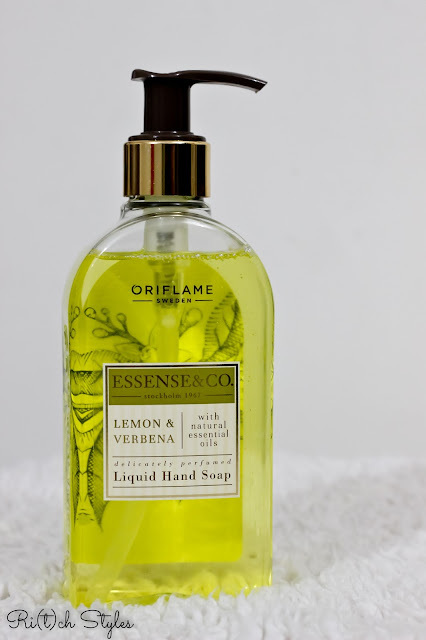 Lemon & Verbena range came in my mail, I was overjoyed to see that its main ingredients were lemon and verbena. 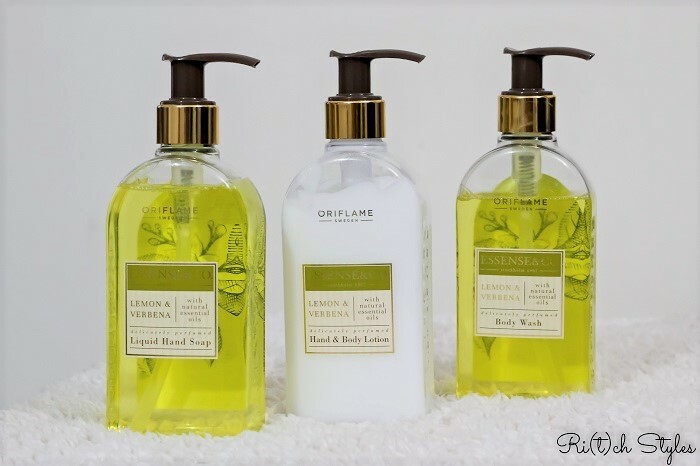 This range has bath and body products - a Hand & Body Lotion, Body Wash and Liquid Hand Soap. Like most of you know and as I told you earlier on in the post, lemons are a rich source of Vitamin C and they also contain citric acid which together enhance and brighten up your skin when used on a regular basis. 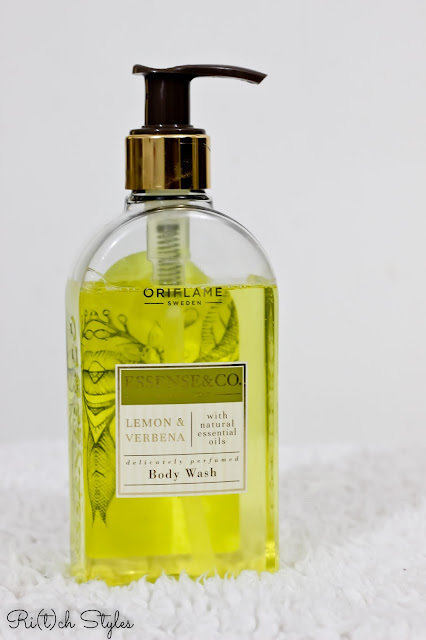 Verbana also known as Lemon Verbana has a characteristic lemony smell and is widely used in its oil form for skincare. It has emollient properties and thus makes your skin softer and helps the skin retain moisture effectively. 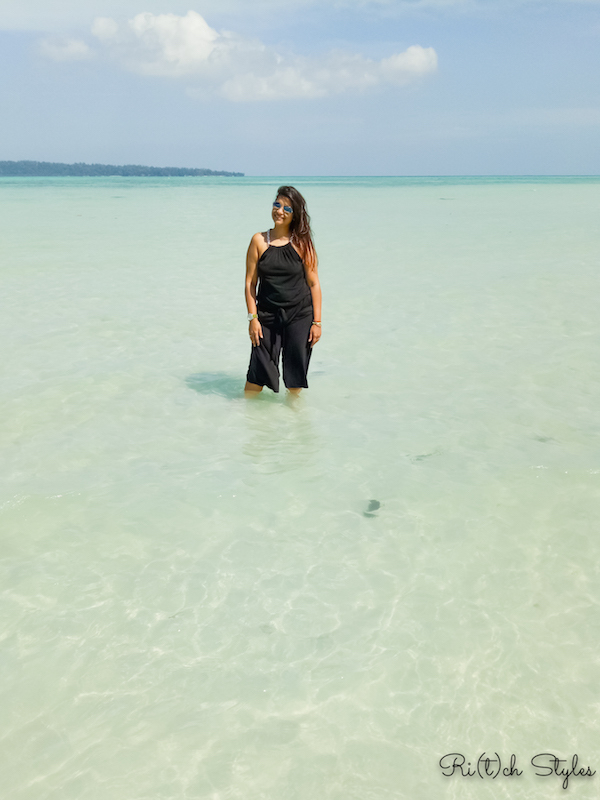 I started using the products from this range right from the day I received them, and here are my thoughts on the range! All the products in this range are dermatologically tested and come with the goodness of lemon and verbena that can enhance your skin and so can be used on a daily basis. The packaging is pretty - transparent bottle with a gold and black pump, and is extremely good quality. The pump makes it very easy to squeeze out the product at the time of use. I actually am feeling bad that I will have to dispose of such good bottles once the products get over. 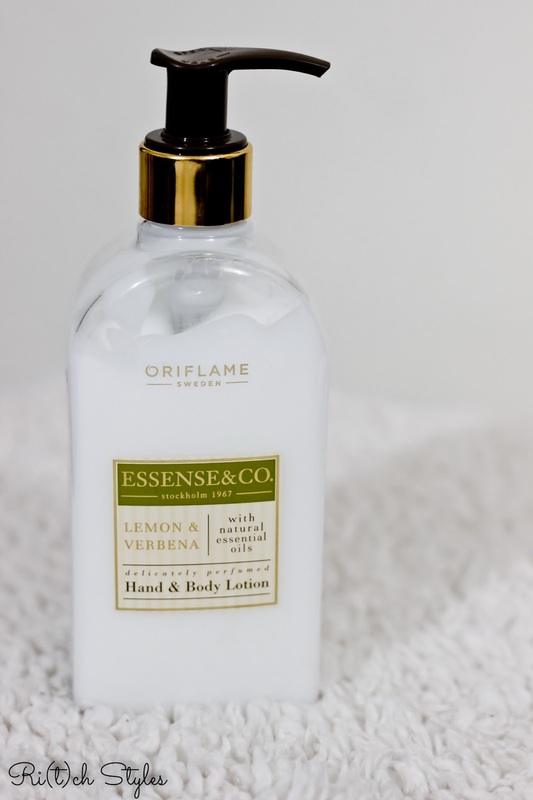 I loved using this range and this is definitely going to be on my repeat list! This collection nice! I need to get one and try it.